The Moon is in Taurus until 4:12 AM. 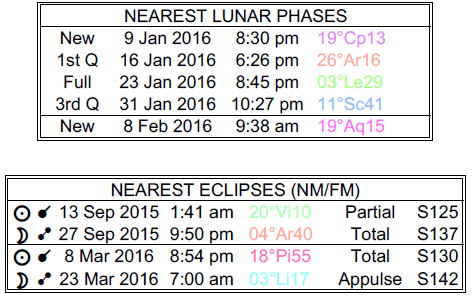 The Moon is void from 1:49 AM to 4:12 AM. The Moon is in Gemini from 4:12 AM forward. 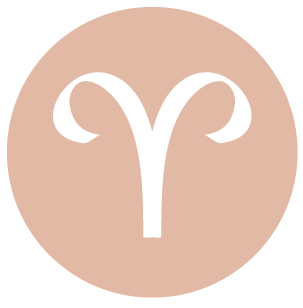 You may be focusing on paperwork, errands, sending out emails, and making calls that you may have put off today, dear Aries. You might get the chance to clear something up in your professional dealings or with your reputation. While you can be quite persuasive now, do keep in mind that what you say and do today has more impact than usual on your reputation. Your advice may be sought, and there is good energy for new creative approaches to a work project or to your career in general. The Sun will move out of your career and reputation sector tomorrow morning, and you’ll be drawn to activities in which you can express the individualistic, inventive, and independent side to your nature. Good energy is with you for for creative problem solving, particularly with family and around the home, dear Taurus. You are also better able to help people understand your point of view today, and to clarify recent misunderstandings. The Moon moves out of your sign this morning, and into your resources sector. This change can act to steady your emotions as you are thinking more in terms of the longview than the immediate. 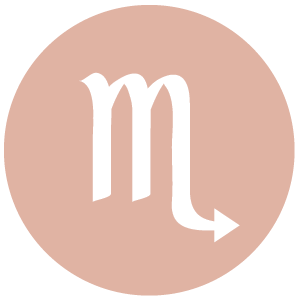 The Sun is about to move to the top of your solar chart, and this will bring a more take-charge attitude towards your goals and responsibilities over the coming weeks. Today is more about getting comfortable and feeling secure. 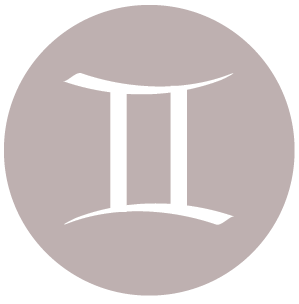 The Moon returns to your sign today as it does for approximately two and a half days every four weeks, dear Gemini, re-energizing you on an emotional level. Emotional energy, of course, can feed you when physical energy is at a low, and it can provide you with the motivation to get started on new projects, health programs, or anything else that will help you to move forward, and today is about starting fresh on an emotional level, although it’s the last day of the Sun’s transit of your intimacy sector, making it also appropriate to wrap up relationship matters. You might be the one to solve a problem or mystery, or to uncover an important truth, and others admire your brilliance in the matter. Plans can be drawn and problems can be solved. Intimate matters can also benefit from further thought or conversation. 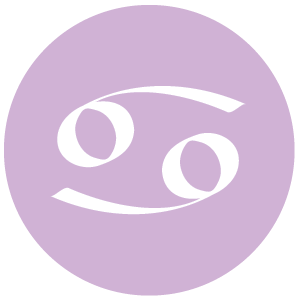 The Moon moves into your privacy sector early today, dear Cancer, and the next couple of days you’re likely to be drawn to behind the scenes activities and some level of anonymity. The Sun is spending its last day in your partnership sector today, but before it leaves, it meets up with Pallas, stimulating an opportunity to look at matters of partnering and relationships in a logical way. Today is very strong for problem solving that gets results in a partnership. You may be putting a situation that was unfair or imbalanced behind you now. There can be a strong focus on evening things out or leveling the playing field with a significant person in your life. There might also be some wistfulness experienced now. 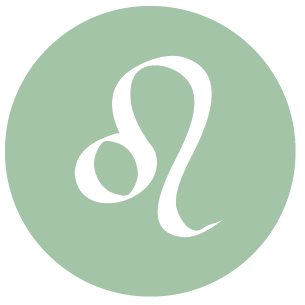 The Moon moves into your ideals sector early today, dear Leo, and you’ll be drawn to activities that put you into contact with others, and that have fewer rules and expectations. You are likely to find yourself in pleasant agreement with important others in your life and making connections with people tends to be easier right now. The Sun spends its last day in your work and health sector today, with the coming weeks more focused on sharing, connecting, and partnering. Today, good energy is with you for clarifying or closing a work or health matter. You might find a new way to perform a task or resolve a problem that improves your daily routines and even your health. 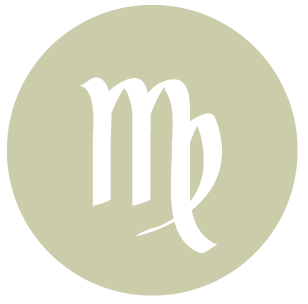 Today is very strong for creative pursuits of all kinds, dear Virgo, with the Sun spending its last day in your creative sector hooked up with Pallas, which will also move on shortly. Your sense of harmony and balance is powerful. If you need to finalize a design or bring better balance to a creative project, now is a good time to do so. Your powers of negotiation are strong. The Moon moves into your reputation and career sector early today, bringing with it a theme of following the rules and meeting your responsibilities. This brief transit is best used for attention to priorities, as this will put you into a more empowered, satisfied frame of mind. 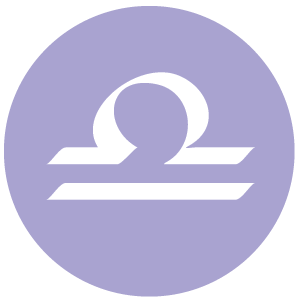 The Moon moves into your sector of the higher mind early today, dear Libra, and this draws out your natural courage as well as your desire to explore, reach out beyond your usual bounds, and to learn. Your sense of justice is stimulated now quite strongly, not only due to this Moon position but with the Sun in alignment with Pallas. If something has been unfair or imbalanced, particularly around the home or with family and friends, you’ll want to address this now. Today is good for problem solving around the home and with family or personal matters, and it’s also strong for bringing more beauty and balance to your domestic world. The Sun spends its last day in this sector of your chart, and will move to your creative, expressive solar fifth house tomorrow. 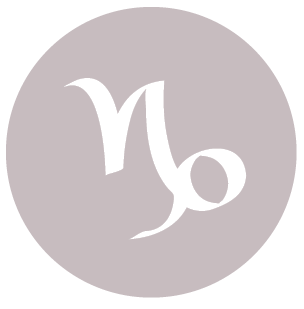 You are likely quite attracted to intellectual activities today, dear Scorpio, but to satisfy your inner cravings you might want to throw yourself into an art project or pet hobby, as you are especially creative these days. Exchanges with others can be significant today. There can be enlightening, or at least very interesting, conversations. If you need to talk, and you probably will, there seems to be someone there to talk to – it’s just one of those days. A good deed from the past can benefit you. There is excellent energy for solving problems, particularly mechanical and learning/schooling ones. There can be a gently competitive feeling with your communications. There is a lot of wisdom in what you have to say. It’s a great day for smoothing over differences, although it’s important to avoid too much scorekeeping. 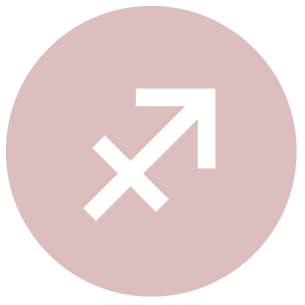 Energy for personal initiatives may be low today, dear Sagittarius, but especially high for making solid connections with others. It’s a good day for feeling that you’re making real and useful contributions to other people’s lives. It certainly helps that lovely, gracious Venus is traveling in your sign these days, because this makes you especially companionable. Good energy is also with you for problem solving with business, financial, and practical affairs. Planning, structuring, and seeing patterns comes more naturally now. 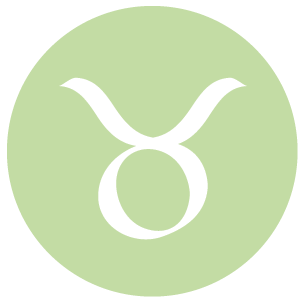 This is likely to be a very productive day, dear Capricorn, one in which you can make solid progress in whatever you are doing, and the more practical the activity the better as far as you are concerned right now. Energy is excellent for fixing problems and getting things up and running smoothly again. You are receiving a lot of attention, and you may be turned to for advice. There can be an opportunity to see an old problem in a new way, and to sort it out. It can be a little too easy, however, to become worked up over inconsistencies or imbalance. 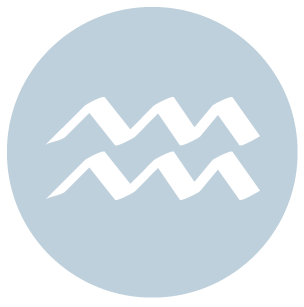 Taking part in a useful yet creative project or hobby today can be especially satisfying, dear Aquarius. You are interested in learning about things that are truly valuable and practical, so anything that ups your practical skills will be appealing. You find it quite natural to reach out to others today, after a couple days of some introspection. Even so, there is still quite a bit going on behind the scenes. You are giving plenty of thought to the past, and today, there is good energy for making some sense of recent musings. You are better able to see patterns and may very well discover a missing puzzle piece to an emotional problem or dilemma.This comes at a good time, as the Sun is on the verge of entering your sign, making it appropriate to put something behind you before moving forward. 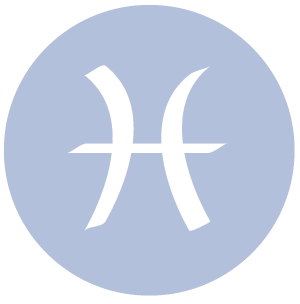 Opt for a more relaxed, creative, and easygoing approach to the day, dear Pisces, with the Moon entering your sector of home and family this morning. There may be some head vs. heart issues to deal with today, but nothing you can’t sort out rather quickly. While you can be a little retiring now, you’re not unsociable, and in fact, today is strong for building rapport with friends or associates. It’s also strong for talking through tricky areas and topics, such as power dynamics and balance. Work matters can also be dissected with relative ease. You’re seeing important patterns and you might come up with some interesting, well-structured plans and designs. The Sun is about to enter your privacy sector (it will make the move tomorrow), and focus in the coming weeks can turn to the past and activities that heal, replenish, and refresh. If Your Birthday is January 19th, If Today is Your Birthday full horoscope here. This can be a time of building faith or confidence in our skills and talents. We can experience a stronger desire to seek out meaning, wisdom, and mental stimulation. This is a time for making plans and seeing important patterns, and also for the motivation to solve problems. Moon 06° Capricorn 16' 36"
Mercury 09° Aries 40' 01"